I’m typing my little fingers off over here because I’m working on too many things all at once. For Birth of a Novel, my goals were to meet my word counts. Check! For my dissertation, my goals were—you know, it’s pretty boring to read about how I set some goals and made them. No one wants to read about how I’m a goody-two shoes who’s learned over the years that either I make my goals, or I don’t. But my guess is that most people don’t have an almost 4 year old singing about the coming apocalypse. Yeah, my family is known for overachievers. See, my daughter has been learning Christmas carols. Sweet mother of science, why didn’t someone warn me about Christmas carols? I should have remembered, after all, I was a prime offender in my youth. I guess I’d just forgotten. But the problem is that she’s still a kid with a bit of a speech impediment (they all grow out of them). How’s your November going? Preparing for the invasion of family or on the side of the invaders? Good luck one way or the other, and for those of you in writer’s bliss (or hell depending) To NANO! I've never attempted Nano, and have a healthy respect for those who do -- here's wishing you all the best for all your projects! Hahahaha. The warg has come. My boys learn the carols at their daycare but they don't sing them at home. I'm not sure why they don't but when it comes time to perform they know every word. Congrats on meeting your goals!!! Don't spoil her inventiveness. If you play it right, she'll become a wealthy, famous writer and keep you in a good care home when you're old. 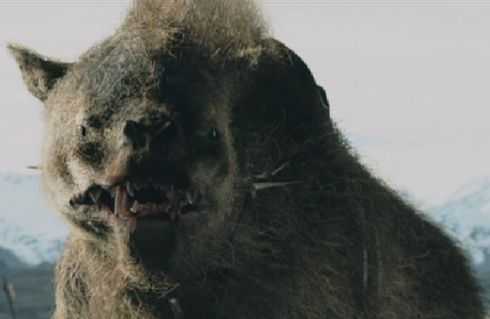 only you (and other sci fi/fantasy enthusiasts) would know what a warg is! ha! Love it...I miss the speech impediments. My youngest always called water, wadden. Then he stopped and I was a little sad. Enjoy Joy to the Warg till the Lord does come! OMGosh that is too funny. Sorry it took me so long to get over here, but thanks for joining Birth of a Novel. I'm glad your goals are going well for you!